I remember the first time I tried to read through the Bible in a year. A few months into it (right about the time I got to Leviticus!) I started waning. After a while, I became frustrated at falling behind and more focused on finishing the task than feeding on the Word. I’d like to propose some Bible reading plans that will help you enjoy God’s Word in 2019 and beyond. These are plans that don’t have to end when the year does. Plans to keep you engaged, keep you growing, keep you from giving up, and keep you loving the Scriptures. The following ideas are Bible reading plans, not necessarily study plans. While study is essential for growing in the Christian life, many people have a tough time just staying consistent in the Word. I’m a firm believer that if you have a plan, you can develop consistency and the more you read and begin to understand God’s Word, the more you will see how it applies to your life and how much of God it reveals. As a result, your desire (and self-discipline) to study it will greatly improve. Do you struggle with depression, anxiety, or questions about why God does what He does? Do you need hope or just more worship in your life? Then immerse yourself in the Psalms – the Bible’s songbook. The Psalms are all songs of human emotion written by songwriters who were inspired by God and who felt many of the same things you and I feel today. They processed their feelings through their songs in Scripture. As you read and reflect on them, you will relate to their questions, feel their conviction, and share their joy as they gain perspective. Each day, read an entire Psalm aloud. Then write it back to God in a journal as a prayer in your own (or in the Psalmist’s) words. Date it, and read what you’ve written the next day as a prayer before reading the next Psalm. Take an extra day or two with longer songs or those that really strike a chord with you. There are 150 Psalms in the Bible, so by the end of the year you will most likely have read through the book of Psalms twice, and you will have grown closer to the heart of God. Would you like to gain wisdom about friendships, business dealings, financial matters, and how to avoid temptation? Read a Proverb a day. This isn’t a new concept; many regular Bible readers have been reading a chapter in Proverbs daily for years. The nice thing is that after a month, you’ve read through the entire book of Proverbs (which has 31 chapters). The wonderful thing is, after six months, you’ve read through it six times, and after a year, you’ve read it so many times you’ve practically memorized it. Reading through this book of wisdom repeatedly will cement the truths into your heart, mind and spirit. Many people even add a chapter of Proverbs to their other daily Bible reading plans. Topical studies are fun because they take you throughout the Bible – Old and New Testaments – to give you a proper understanding of a certain subject or area of your life you might be struggling with or want to grow in. Use your Bible concordance or www.BibleGateway.com to search for verses on a particular topic, such as love, marriage, forgiveness, temptation, joy, holiness, or “last days” just to name a few. Record what you learn in a journal or in a computer file. Make sure to read the verses in context (read the entire chapter or at least several surrounding verses to get the situational context in which the topic is addressed). Share what you learn with others and you’ll find topical research and reading can be addicting. But do this carefully. Again, context is king. Second Timothy 2:15 encourages us to study to show ourselves “approved unto God, a workman that needeth not to be ashamed, rightly dividing the word of truth”. In 2 Timothy 3:16 we’re told that all Scripture is profitable for “teaching, for reproof, for correction, and for training in righteousness”. To get the full benefit of the Word of God and make sure you are being taught, convicted, corrected, and trained in righteousness, try this plan. In a journal (or on your computer), record answers to one or all of these questions after reading a passage of Scripture: What did this passage teach me? How did this passage convict my heart? What in my life should be corrected in light of this verse? How can I live more righteously in light of what I’ve read? By answering those four questions as you read the Bible, you are engaging with the Word and carefully applying it to your life. 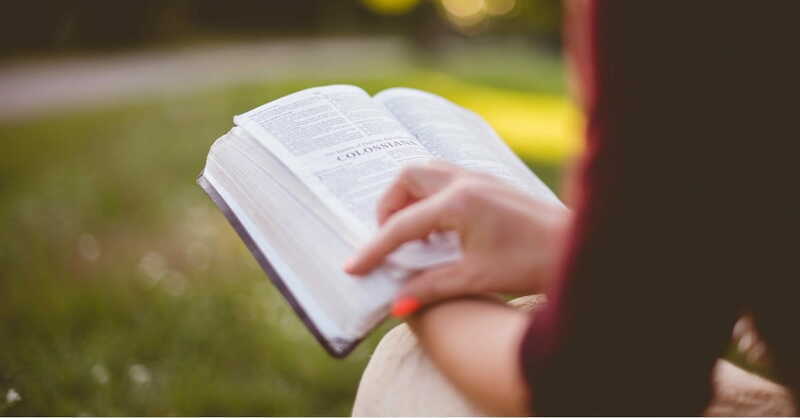 Refresh and revive your Bible-reading experience by reading a book of the Bible – or several – in a different translation than you would normally read. Although I prefer the New King James Version and the New American Standard Bible for studying, my life changed when I started reading versions I hadn’t read and memorized before. Reading a familiar verse in a different translation can cause it to hit your heart in a way it hadn’t before. Familiar passages suddenly become fresh and newly applicable again. The New Living Translation (NLT) is a paraphrase, not an actual translation, but it’s helped many new believers understand the Bible and begin applying it to their lives. I’ve come to love Eugene Peterson’s The Message, which was identified by Christianity Today as a “translation into idiomatic English” – which is the way we think and feel today. Reading The Message caused me to fall in love with God’s Word all over again as it’s phraseology in the Psalms moves my heart and its “in your face” language in the Gospels (that I tend to think Jesus actually used toward the Pharisees) has convicted my own heart many times over. Reading the Bible in different translations (like The Message and the Contemporary English Version) has refreshed and revived my love for the Word of God. It just might kick start your heart for the Word, too. Are you a history buff? There’s exciting, shocking, and even R-rated movie-making content in the Old Testament history books (you’ll discover stories you never heard in Sunday School that are too explicit, violent, or sexually inappropriate for children). Be awed as you read about creation, enlightened as you read the details of the exodus from Egypt and shocked as you read about the dark times of the Judges. There are 12 minor prophets in the Old Testament, too, that are rarely read but full of riches. Read one of these a month and by the end of the year you will know more about the lives and ministries of Hosea, Joel, Amos, Obadiah, Micah, and more. Find a book on the harmony of the gospels and study the gospels chronologically and in parallel to one another. As you read different accounts of Jesus in Matthew, Mark, Luke, and John, take note of the added details in some (and why the writers of the other gospels might have left them out), and what they all tell you about a more complete picture of Jesus, as well as those who wrote the gospels. BibleGateway.com has a plan to help you read the Gospels in 40 days, or you can take it slower by carefully taking notes as you read. Once you’ve read about Jesus in the Gospels, the next step would be to read through the New Testament letters. These books of the Bible, from Romans through Revelation, will give you even more details about Jesus through the eyes of the Apostle Paul and other followers of Jesus. They also provide instructions for the First Century Church – Christians who were coming out of Judaism or paganism and just learning how to live the life of a Christ-follower. Imagine yourself as one of the early persecuted Christians living for every word being written in these treasured, often-read letters by the Apostles – those who had actually seen the risen Christ. Your reading will come alive as you anticipate it the way the recipients of those First Century letters did. You and I often have questions of God or questions about the Bible. But Jesus, God in the flesh, asked many questions, Himself. But His questions were to His followers, His critics, His accusers, and those who came to Him in search of something. Start reading through the Gospels and highlight every question that Jesus asked, taking notes about what answer He might have been looking for. Jesus asked questions like “Who do you say I am?” (Luke 9:20) and “Do you believe that I am able to do this?” (Matthew 9:28), and “Do you love Me?” (John 21:16). Or, back it up and start in Genesis with the questions God, Himself, asked like “Where are you?” (Genesis 3:9) and “Where were you when I laid the foundations of the earth?” (Job 38:4). BibleStudyTools.com has 18 different reading plans, including a plan to get you through the Bible from start to finish in a year, 40-day personal growth plans, and even a daily audio Bible plan. You can sign up to track your daily progress. Check out the possibilities at https://www.biblestudytools.com/bible-reading-plan/. You can also download the YouVersion Bible app that delivers plans straight to your mobile device, as well. Staying consistent in the Word has never been easier, so try it and see how a year in the Word can literally change your life. Cindi McMenamin is a Bible teacher and national speaker who helps women and couples strengthen their walk with God and improve their relationships. She is the author of 16 books, including the best-selling When Women Walk Alone (more than 125,000 copies sold), When a Woman Overcomes Life’s Hurts, When God Sees Your Tears, and her newest book, Drama Free. For more on her speaking ministry, books, or free articles to strengthen your soul, marriage, or parenting, see her website www.StrengthForTheSoul.com.